Our previous NSFAS blog focused on how to apply to NSFAS and maximize the chance of a successful application. This blog explains how to get NSFAS bursaries. Similarly to the NSFAS loan, you must apply on time and with all the required paperwork attached. Although you may be asked for proof of family income, there is no cut-off after which you will not be successful. The intention of the NSFAS bursaries is to build interest in scarce skills sectors by attracting academically able and interested young people. Financial need is considered as a factor but not the deciding factor. Just as with the NSFAS loans, the NSFAS bursaries are a limited pool of funds. NSFAS will award as many bursaries as they can from their pool of funds. The bursary pool is not the same pool as the loan pool so you can apply for both at the same time. What Do NSFAS Bursaries Offer? The NSFAS brochure tells us that they offer NSFAS bursaries for teaching, social work, students with disabilities, the National Vocational Certificate and NATED Engineer N1-N6 and other FET fields N4-N6. What does this mean? Applications open October for new applicants and close in January. Social Work Any Social Work Degree at a public institute that will qualify you to work as a Social Worker for Social Development. Apply to Department of Social Development. Applications open September and close October. Students with Disabilities Apply directly to NSFAS. National Certificate (Vocational) The NCV is an alternative route to gaining a National Senior Certificate (NSC). 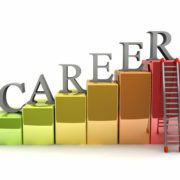 NCVs are careers oriented matric certificates offered by FET colleges. The NCV takes three years to complete and you can apply for admission when you have passed Grade 9, however many courses prefer that you have progressed further with your schooling before you apply. Apply directly to NSFAS. Applications close at the end of November for the year before you study. You do not need confirmation that you are accepted to study to apply for funding. For a list of FET colleges click here. (NATED) NATED programs are offered at FET colleges. You can apply for engineering at any level (N1-N6) or other fields at a post-matric level (N4-N6) Apply directly to NSFAS. If you have a NSFAS loan you can convert up to 40% of your loan to a bursary based on your academic results. This is not the same sort of bursary as the ones described in this NSFAS bursaries blog. To find out more about NSFAS, go to their website. I would like to join Sandf after completing my Matric,I am 20 years old and it is my favorite career. Hi. My name is Mpho and im 33 years of age. 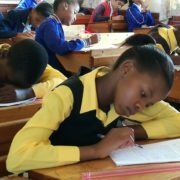 Im currently writing my final exams for matric Senior Certificate examinations with Abet Kwazini college in Tembisa. So i would like to know if i would qualify for a teaching course for elementary phase at any state university? Im unemployed nd my partner does not earn much. Do i qualify for nsfas bursary to can apply to start next year 2019? Please help. Hello everyone am kgaugelo ,my question to is that do I qualify for nsfas bursary with my subject statement matrix coz I have no direction please direct me. I failed my matric last year 2015. I wanted to be a Social worker is there anything you can offer me.? Hi, If you passed more than 50% of your subjects for the year of 2013 then you are still eligible for NSFAS funding. If you were studying at TVET college then applications are still open. Your age is not a problem. NSFAS are saying that institutes are not to refuse registration to people waiting for their application status to be approved or waiting for funding. I think you should phone NSFAS about this and also try to go back to your institute again. Hi I’m Philix.i want to know which procedure must i follow after getting this nsfas message which says that you’re conditionally funded. You should go and register and make sure your institute knows you have NSFAS funding. Hi im sarah i got a pin for my allowance…so how will i knw that nsfas pay for my fees excluding those books and food allowance??? Hi I’m thuli . I’m studying in private college ,Im doing level 5 in policing.will nsfas be able to assist me if I want to continue with level 6 which is a diploma in policing if I charge a college to public college? No, NSFAS will not pay your fee debts. Hi, You are going to need matric to study nursing. Why don’t you go to your nearest TVET college and see what they can offer you? Most of their courses are NSFAS funded so you will not have to pay. ngcela ukbuza .ngifuna ngino grade 9 ngfuna ukuqhubeka neskole …so manje ngfuna ukwena i hospitality . yingabe uma sokupheĺa lo 3 years engzowfuñda ngizosithola na i çetificate sikamqtric? Hi, am sibusiso zikhali ,could pls brainwash me about how nsfas pays you if pass all the subjects in tvet collage? I’m guessing you didn’t really mean “brainwash!” 🙂 Anyway, if you had NSFAS last year and you past more than 50% of your subjects then you have it again this year. Hi Gloria, Where are you planning to train at? 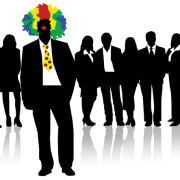 Some organisations that offer training also offer learnerships. For example, Izibindi was doing this previously at James House, Hout Bay. They trained 20 people then offered jobs to 10. Cape Learning Foundation offer funding for training also. If you tell me where you live and where you are going to train, I might be able to help you better. My name Julia I wnt to study I pass grade 11. Hi Julia, There are courses available for you at your nearest TVET College. These courses will be funded by NSFAS bursaries. 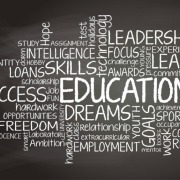 http://www.fetcolleges.co.za/Site_Public_FET.aspx Here is a list of colleges in each province in South Africa. Morning my name is Shane, I would like to study business law could you please confirm what course I have to choose for this at college of cape town or false bay college. Finish ABET IV then go to TVET college for Safety and Security in Society. This is a three year course and is equivalent to matric. Then you can apply for the police. Yes the NSFAS bursaries cover nated courses at TVET colleges. Yes you can get funding for a higher certificate course. Hi i’m mohau 23yrs frm Free state i wanna study mechanical engineering n i faild ma matric so is it possible to get Nsfas to futher ma studies? I passed my grade9 do I qualify for nvcs or nated? Unfortunately you need to pass at least 50% of your subjects to get NSFAS again. if i am at university do i need to get 50% per semester or per year? hi keth. i was enrolled on 2016 and i studied at UFS without nsfas.. so applied for nsfas on 2016 October and it did fund me on February 2017 but the university didn’t allow me to register because i have outstanding fees. so i dropped from school but i didn’t sign any nsfas loan.. so my concern is that will nsfas still fund me if apply this year for 2018 going to study to another university as a first year??? hi am dipuo from modimolle I have pass my matric with higher certificate will nsfas fund me?? Hi I am 53 yrs old ,have a senior certificate and recently done Play Based Learning courses for..Birth- 2 yrs,2-5yrs,Gr.R,Gr1-3..i want to become a teacher,foundation phase,what should i do to apply for funding and which institute can i apply. Hi am Athule, my question is does nsfas fund you if you’re going to study higher certificate in IT for one year. I have passed matric and I have secured a place for my self in NMMU. Yes you can apply to NSFAS for any post-matric course at a public university. This includes your higher certificate at NMMU. I am a girl of 18 years I dropped out of school this year I was doing grade 12 now I always wanted nursing can I study nursing with out matric? Hi I did matric in 2011 then I found a job I wanted to support my family cause am coming from disadvantage household so now I want to go back to school will nsfas fund me after 5 years,I passed with bachelor? Hi my name is Johanna Magongoa,I am 36 years old doing matric this year at high school ,I want to be a teacher but my concern is that I am financially unstable as my husband is not earning much.so I would like to know if I am qualifying for NSFAS or Funza Lushaka after matriculating.hope to hear from you soon. Yes you can apply to study a Higher Certificate and you can apply for NSFAS. You will only get the NSFAS funding if you accept an offer of a place at TVET College or other tertiary institute offering a Higher Certificate course. hi I’m nombuso faith In 2015 January I applied for a bursary and I wrote my exam only 2 find out dat I did not get a bursary I have a statement conferming that. the sad thing is I fail some subject due 2 loosing my parent same time. now I cant rewrite my subject because I don’t have the money. so I need to that is there any chance for me to get nsfas I was doing n5 public management. Hi my name is Leslie im 21 years old, i want to study next year the problem is i didn’t finish my matric so do i qualifies for a busary with a grade 10 report? If you apply for a course at a TVET college and get accepted then NSFAS will be very likely to fund you. 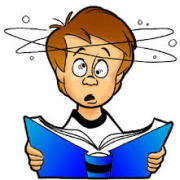 Many TVET courses can be entered into with only Grade 10. Now is the time to apply to NSFAS and also college. The college will help you choose a course. Hi my name is Mpho a first year student so I wanted to know that if you are funded by nsfas and it happens that you fail one module and pass the rest will nsfas still fund you the following year? Yes, as long as you pass more than half your modules, you will still be funded. Hi , I’m not currently funded but what happens if I fail but still pass more than 50% of my modules . Remember I’m not funded by nsfas currently but I’m waiting for the results regarding my application. Thank you . If you pass more than 50% then you are funded for the following year. You do not need to reapply. Hi, You first need to find a course that you want to apply for. I suggest you look at South West Gauteng TVET College. They will help you choose a course. Go and see them. http://www.swgc.co.za/utilility-studies/hospitality/ They have a course in hospitality that you can do with Grade 11. It will also get you your matric at the same time. You can apply for NSFAS once you know which course you are applying for. You can see on their website what you need to apply. http://www.nsfas.org.za/content/ The TVET College will also help you with your application. Hi, my name is Yandiswa, can I still be funded by NSFAS next year if e.g I fail 5 out 14 of my modules both first and second semester. Yes you can apply to NSFAS before you apply to FET College (or any other tertiary institute). However your funding depends on you being offered a place to study. Hi I’m linathi I’m doing ND: HRM 3 funded by nsfas( bursary because of disability), I would like to if fail one module would nsfas still fund next year for that module. Yes, NSFAS will still fund you as long as you pass at least half your modules. Hi, I applied for nsfas but I didn’t provide a certified pay slip so I would like to know if it’s a problem. Should I be worried or not ? What if you did provide a copy of pay slip but that copy it’s not certified? is that a problem ? The website does specify “certified”. To give your application the best chance you should submit the certified payslip. You can try and do it through the “self-service” page using your login details. Otherwise you can email it directly to NSFAS. Make sure that you get a receipt for it. Temba Campus of Tshwane TVET College is your nearest place to study. 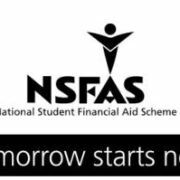 You can apply for NSFAS funding, which is the government loan scheme. The college will help you apply. You should go soon because the college and NSFAS are open now for applications. The college will also help you to choose a course. https://www.tnc.edu.za/temba-campus If you want to study beauty thought then you will have to study at the Pretoria campus of Tshwane College. It is still best to go to Temba first as they are close to you. They can help you with the application and advise you how to proceed. hi am atlegang,I applied for Nsfas and I only submitted my I.d n my mothers I.d and I.d of people living with me,I dnt know where my father is aimce I was little, will that jeopardise my application? and my mom is no longer working so I ddnt submit any proof of that and will that also jeopardise my application? and what happens after nsfas replied me?what do I have to do?and what exactly will I get from nsfas next year?what will it pay?transport? You probably need to submit a letter from your school principal or pastor, on letterhead, verifying that your father is not involved with your family and you don’t know where he is. Also your mom can do an affidavit stating she is unemployed. I have noticed that this is a problem with the online application process because they don’t ask for those documents. However, I do think that they are needed. Best idea is to phone or email NSFAS and ask them what you should do. In terms of what you actually get, it depends on the cost of your studies and how much they think your family can contribute. If you family has no income then they should cover the full cost of your studies, transport, text books, stationery and some living expenses. You will receive an SMS notifying you of the outcome of your application. Then you will sign and agreement with NSFAS. Then you will get funding. I pass my matric in 2015 with Diploma can NSFAS fund me? Yes NSFAS can fund you. Applications are still open for NSFAS and for TVET Colleges. You can study a National Diploma at a TVET College. They can also help you choose a course and complete your NSFAS application. Hi I am Relebohile I failed only one module and I am using the Funza Lushaka bursary….will Funza be able to fund me in 2018? Hy m name is Mpho I failed m matric in 2015…so I went 2 a local tvet and I wrote a placement test..also hv applied 4 nsfas 2 study office administration Can nsfas fund me?as I don’t hv parents I live wit m Sister.. Yes it is a problem. If your application is incomplete it will likely be declined. Hi, my name is Mzwandile. I am enrolled at the North West University Vaal campus. I have a really serious problem, I had difficulties with the Nsfas LAF and now my fees are not payed. I have an outstanding balance of R64 973,56, is there anything i could do. I realy need help becouse there is no way i could afford that. I tried many times to sign the LAF, but could not. I only managed to sign it after the deadline. Hi. If I passed 90% of my modules will I still be eligible to receive nsfas as a first time applicant? I failed 1 out of 10 modules for the year. Will this effect me chances of receiving the loan? Hello I would like to find out, if a person has already got another bursary however had failed a single module is it possible to apply for nsfas to have that module paid for in the following year? Hi. I’m Chris. I would like to ask, I’m doing my 3rd/Final year next year studying Ndip Accountancy but i would like to continue my studies into an Advanced diploma, Then BcomHonors (1year each) can i extend my loan to add those year or for how long does Nsfas provide funding and also how can i convert my loan into a bursary (The 40%)? In terms of your study pathway, I am curious about why you have chosen Advanced diploma plus BCom Honors? Did you consider BTech (1 year) plus a conversion course (1 year)? I was under the impression that that is the sequence. I am studying at UJ. can you please explain what is the significant differences between these two pathways and which one is the better choice? Hi I was funded by NSFAS this year. I failed 2 modules out of the numerous I had. Will I still be funded in 2018? Yes you are still funded if you pass more than 50% of your modules. Hey . I was doing the nated course at a TVET College funded by nsfas . I’d like to go to university next year . Wil nsfas still fund me ? Hi. I failed all my modules this year. It hasn’t been a good year for me as I’ve been going through some rough patches. Will I still have NSFAS next year or I just need to drop out as there’s no other alt. Hi my name is pearl I’m a first nsfas applicant. I’ve applied for abet is nsfas going to accept my application ? Hi, on my application status it says “Financial Eligibility Evaluated ” what does it mean ? It means they’ve checked your family income status. It’s just an update. Your application is being processed. Phakiso here. I was a funded by NSFAS as student at a TVET college and successfully completed my studies 2016 (Now doing my internship for my Diploma). I have recently applied at University for 2018, i would like to know if will NSFAS fund me? The NSFAS portal was asking for all kind of documents like proof of income and all that kind of documents and i am an orphan, my siblings live a children’s home so i cant get their certificates. I live with a friend of mine who’s been very generous in helping me out and have been taking some odd jobs from time to time. Will me not having those documents deem my application unsuccessful? You need an average of 50% to be funded again. As long as you have this, you can transfer to another university. 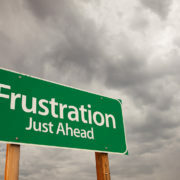 I passed first semester and failed 3 modules out of 4 will I get funding and if I up my marks will I be refunded again? You need to pass with an average of at least 50% to be funded for 2018. Can one apply for Nsfas funding with a Tvet qualification towards a degree at Varsity? 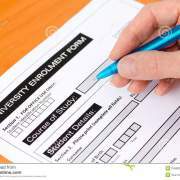 Hey Miss Kath.. My Name Is Nthabiseng I Am A Student At Unisa And I Wanted To Let Johanna Know That It Possible To Study Teaching With A Diploma Matric Pass At UNISA.. He Will Have To Do A Higher Certificate First For A Year Which Contains 10 Modules.. If You Pass All These 10 Modules Then The Following Year You’ll Start With A Bachelor In Education!! Thanks for that update Nthabii! Hi am ntwanano I am looking to register Nated course’s for electrical so the unfortunate part is that if ever I don’t get space as a full timer which means the alternative is to register for part time. Can Nsfas cover me if am doing part time ? what can i do to get funding from NSFAS? I applied for NSFAS at a TVET college and now I got admission to a university.can NSFAS still fund me? Yes, NSFAS can still fund you. You should notify NSFAS that you are going to register at a different institute. Also notify the financial office at your new institute when your NSFAS funding is approved. Hi my name is Nonele I failed my matric but I have a FETC:Community health work NQF Level 4 and FETC: Social auxiliary work and I wanna study Social work,so should I apply at a tvet to do my matric or what?and will NSFAS fund me in either?and again because I’m the sole breadwinner I can’t study full time so what are my options? hi I’m nomvula i pass matric with higher certificate so can nsfas fund me too? 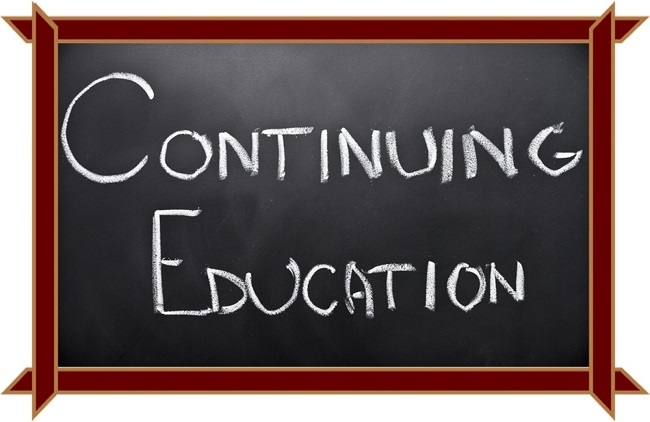 You can be funded with a certificate pass as long as you are offered a place in a tertiary certificate course. If one wants to study a PGCE in order to be able to teach in their profession and has been funded by NSFAS throughout their Diploma in Hospitality, would NSFAS still pay for the Post Grad Certificate in Education? Hi m lwazi i want to ask that does nsfas pay for my diploma after i finished higher certificate or it will only pay once for higher certificate only?? If I am granted the loan but have to upgrade my matric for this year , should I apply again for next year or what? Hi Kath, Johanna again I am being granted Nsfas loan and now my problem is that I haven,t found d any space in any institution so I dnt knw wht will happen next,as nsfas is waiting for the institution to confirm my admission. Hi.I’ve passed my matric with higher certificate and I want to social working so will NsFas fund me? Hi. I’m a returning student at Wits and I have applied for NSFAS funding for 2018 academic year. My status says “Funding Eligible Without Admission ” what does that mean ?. I am registered for 2018 academic year. I hope you can assist me. I’be emailing NEW AS and texting them on their Fb page but I haven’t got any replies. I applied last year for NSFAS and received a reference number. Now I’ve been trying to check my application status on my nsfas account but it sent me back to applying. And every time I try to access mynsfas manager it says “profile details incomplete”. Can nsfas pay for matric upgrading at college? Can you please help me about the NSFAS Funding at Unisa. I failed my modules and didn’t get 50%. I’m a second year student this year from 2017. And I’m scared that I wont register or continue with my career. Im a single parent and I’m struggling with finance issues. It will be a pleasure to hear from you. Hi I am Lwazi and I would like to know how does nsfas pay for the students with outstanding fees, but my problem is that previously I wasn’t funded by nsfas in 2016.
hy m Philly I was studying Farming management at tvet college year 2015 ,nsfas funded me n I decide to drop out coz I was sick n I didn’t deregist so now I want to study Social worker at University will nsfas fund me?? last year I was doing bcom acc first semester In passed all modules but second semester I had5 modulesand passed 3 n I had supplementary on two modules which I didnt write because I was in another province and didnt have means for transport. So I decided to change my degree of which was a success. Now my question is can nsfas fund me again? I honestly donot understand the 50% thing please try and be specific how does it work? Hi Kath. My current status for NSFAS is Successfully Funded and has been that way for almost 3 weeks now. I called the call centre and they notified me that I should call UNISA and ask that they send them (NSFAS) a “Registration Template” but on the NSFAS facebook page it says if your status is “Successfully Funded” you should wait for an sms to sign your LAF. I am so confused right now because I have tried calling all the UNISA numbers with no answer. I need books to complete my assignments which are due on 13 April. I just need confirmation that the info I received from the call centre is true. Thank you. has been provisionally approved, pending final verification by NSFAS. that you meet the bursary criteria and you have signed the NSFAS bursary agreement. application, you will remain liable for your fees. Good morning, I got that email and now I have been getting emails fro my institution that I have to pay for my fees, what does that mean? Thank you kath, but is it late now to get the form that I habe to sign from tbe NSFAS? hi, i was funded by nsfas since 2015, i finished the qualification last year, now i applied for a bridging diploma at another institution. now my question is do i apply again for Nsfas, Or What do i do ?? Hi I am a first year student and was successfully funded by nsfas this year, I am doing Mechanical Engineering….I faced a serious problem with my studies due to late allocation of money for books ,as result of that I tried by all means to catch-up with my work but unfortunately I didn’t instead I’m struggling even more and I fail my semester tests so I don’t meet the requirements for exams , since I didn’t start my academic year properly! I decided to deregister the Course completely and begin next year with the other course. My question is will NSFAS Consider me for next year if I have derigistered? what must i do? should i apply again for nsfas? Hi, I’m a 1st year Varsity Student who just found out that I failed one of my exams. If I don’t write my 2nd opp exam and decide to carry the module, will NSFAS pay for the module? so I want to know if nsfas can assist me. hy i am Jabu a second year student studying ND CHEMICAL ENGINEERING. last year i did well but this year first semester i failed 4/7 modules will nsfas still fund my s4 modules? Hello this is Buhle. I failed 4/7 of my modules first semester. Am I still eligible for funding this year? Hi my name is Bongane. Hi, can nsfas still fund you if you passed only half of your modules and failed the other half on your first semester? 1. Take each mark from first semester and multiply it by the number of credits that subject is worth. If all your subjects are equal then you can skip this step. 2. Then add up all your subject totals. 3. Divide by the number of subjects. Good day this is Hlayisani I got funded by NSFAS this year as a first year student and i registered 4 modules and they were both paid for by NSFAS.Unfortunatly i got an accident and i was not abble to study, and obvious i’ve failed. so my question is can NSFAS still fund me if i apply for 2019 academic year? im dimpho i have failed matric n have passed abet can i be able to study at unisa??? Hi my name is Andrea I am currently funded and would like to know what happens to my nsfas loan if I fail one of my major modules and have to do the year over??? Hi im nonhle ndelu i have level 4 abet and i want to study an ancillary health care nursing can nsfas help me? I am a first time applicant and I failed 1 of 10 modules, is that a deal breaker or nsfas can still fund me even though i’m a first time applicant? Hi my name is Rhulani,and I applied for nsfas on the 11 September ,when I check my status it says Evaluation Completed and I want to study a course which require grade10/11 is it possible and will Nsfas Fund me? Does NSFAS pay for 2 or 1 module? Hi. I have a several questions. 1. I applied for nsfas. Its on “awaiting registration”… What does that mean? 2. i applied to so many institutions. what’s going to happen if I get rejected by the one that was filled in the nsfas application form? 3. What’s going to happen if im funded and decide to change the course in January for early registration? semester but for the year i managed to pass 8/12 modules will nsfas still fund me…. If your average for the year is over 50% then you will still be funded. Add up all your marks and divide by 12.
my average adds up to 60%…..thank you for your assistance i highly appreciate…. I received funding from NSFAS this year and I am studying at UCT. I went through a few rough patches this year and failed two out of my six modules. Will I still be funded next year? Kulani here, i’m currently a UNISA student and funded by nsfas.I was doing my first year in 2018,i failed 2 of my modules out of 10.I wanted to know if NSFAS will still fund me since i failed 2 of my modules?? If yes, will NSFAS pay for the modules i paid? Hi. I have just received funding from NSFAS after I was told I had been rejected. I have been accepted into Uni and my marks all qualify HOWEVER, I was convinced I was not going to receive the funding and have put my Varsity plans on hold until next year and am going to now work this year. I had also left it too late to apply for the varsity of my choice and applied at another one as second choice. Will my funding still be available for next year? I do not want to lose this opportunity but am unable now to go this year. How will it work? Hello, i didn’t apply for university in time so i was thinking of going to college for one year then apply university of my choice for next year but then i applied for nsfas so i wanted to know that if i apply college using nsfas wiĺl it still fund me even next year st university? Hi am Suzan. I applied for Nsfas in 2017 for 2018 funding. I am on my second year and have been paying for my fees since. I registered for first semester, and only realised that nsfas paid on the 2nd semester and all my modules were “reinstated”. The problem is that I didn’t sign the agreement form then. I recently received a message that I must sign the agreement form of which I did and re-registered. When I check my status It says “awaiting payment “. So what are the chances of me getting the fund for this year? Hi, i am khutso i would like to know if NSFAS do funding beauty courses offered at Tshwane North College. hi,i am sphokazi , my nsfas has been approved but i want to study at richfield graduate institute, will they fund me? Hi…. i did Dip in Accounting and i was funded by NSFAS for 4 years and i completed that qualification. Hi I’m studying ncv at tvet college nd it’s my last year I’m funded by nsfas so next I wanna study LLB at a varsity will nsfas fund me? Hello, im Sphesihle I was funded by nsfas last year doing my first year then I failed 1 semester module out of 7 I was doing so at my institution they took me back to complete that semester module before i can embark to second year, so i want to ask if is NSFAS going to fund me to do that 1 semester module?